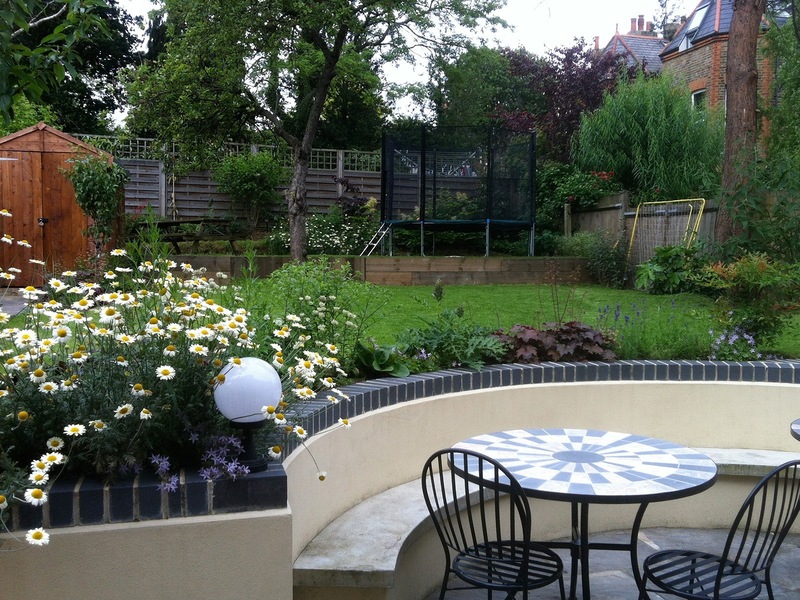 Family gardens need to be practical and robust enough to cope with the rough and tumble of children's games. 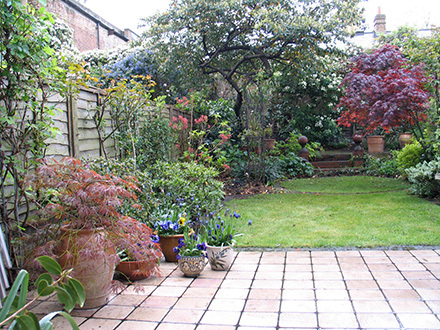 At the same time they should provide space and scope for the adults of the family to relax and enjoy being outdoors. 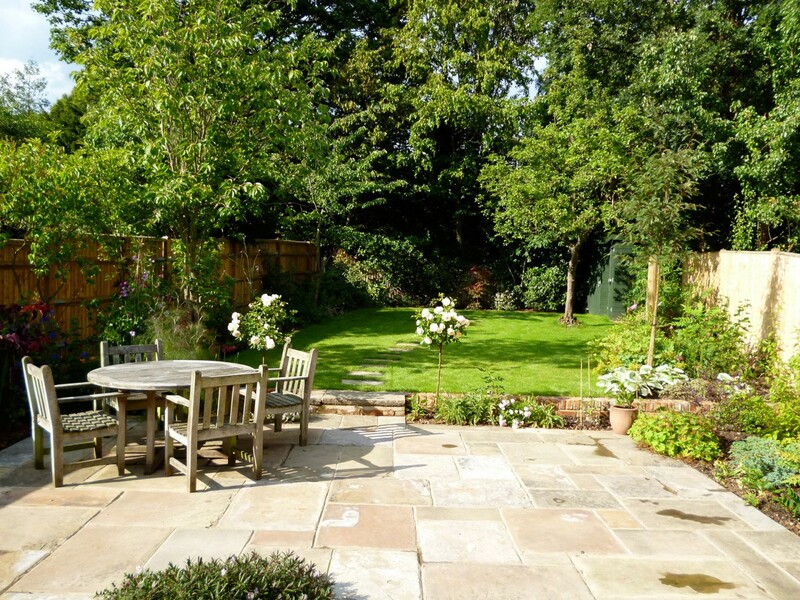 The two gardens featured here have generous paved areas and lawns and have been designed to accommodate both kinds of demand. 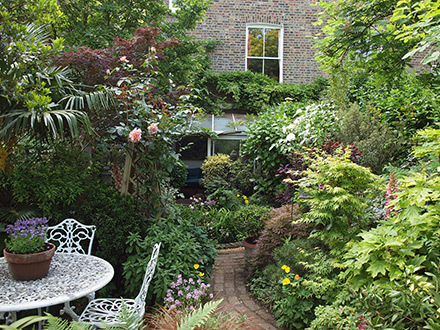 A family garden with room to entertain, relax and play. Part of the large Yorkstone patio with vigorous new planting. 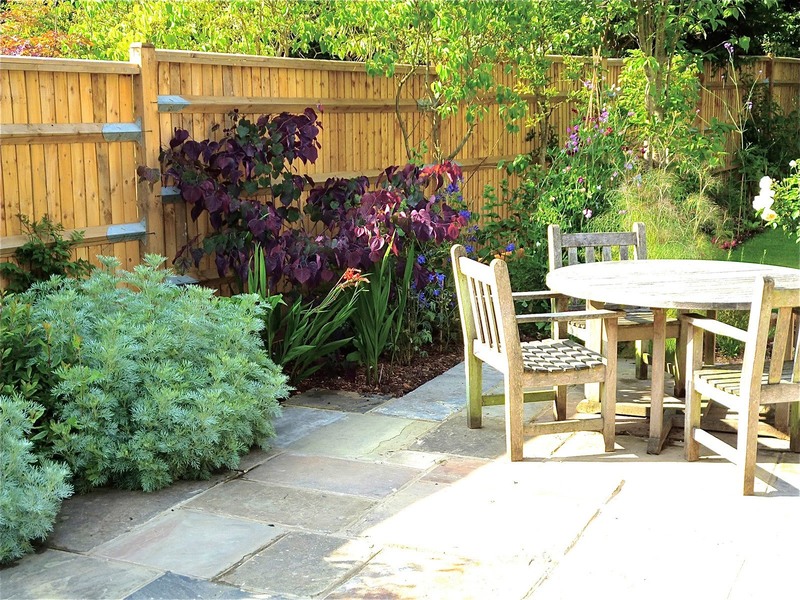 Here the patio is at a lower level than the rest of the garden and includes a curved concrete bench that embraces the garden tables. At the end of the garden, at a higher level still, is a large trampoline. 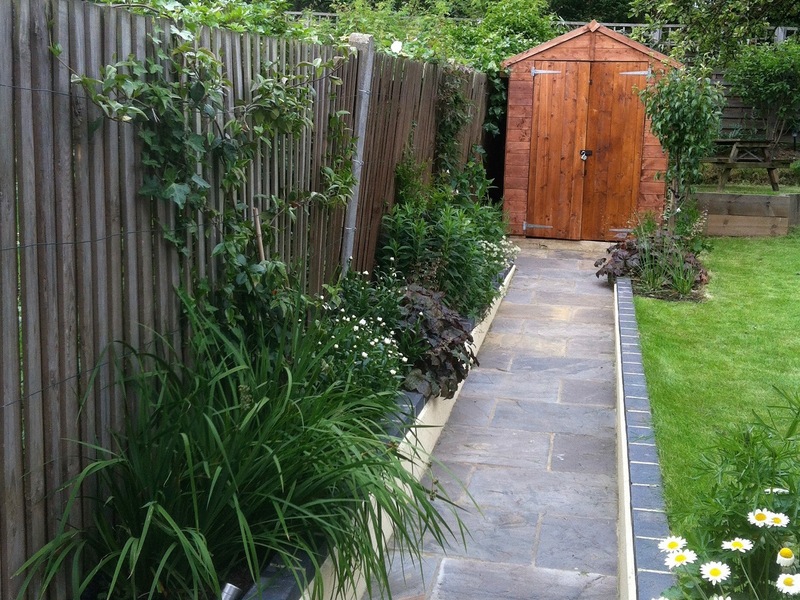 Easy access to the garden shed: vital in a family garden to store toys and garden equipment.